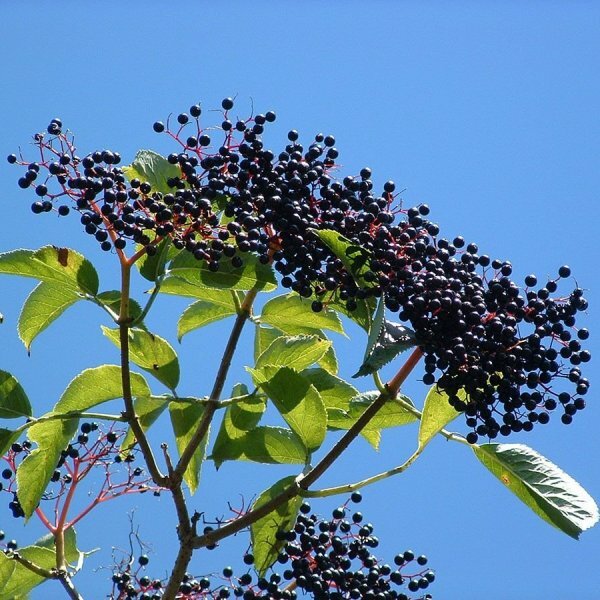 Elderberries are large deciduous shrubs native to Europe, Asia and northern Africa. 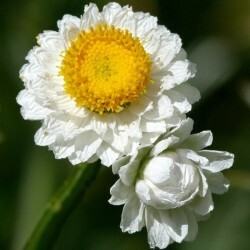 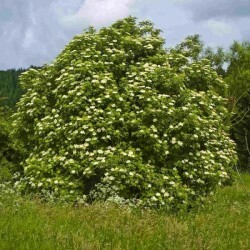 They are grown for their beautiful foliage, large, musky-scented flowers and showy clusters of fruits. 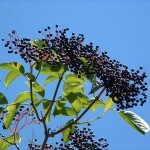 Wildlife magnets, their inflorescences are often visited by butterflies and fruits are favored by birds. 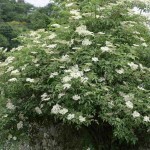 Its pinnate (feathery) leaves are divided into many elliptic leaflets, giving a tropical appearance. 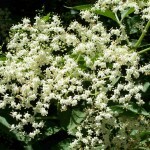 The leaves emit a somewhat unpleasant odor when crushed. 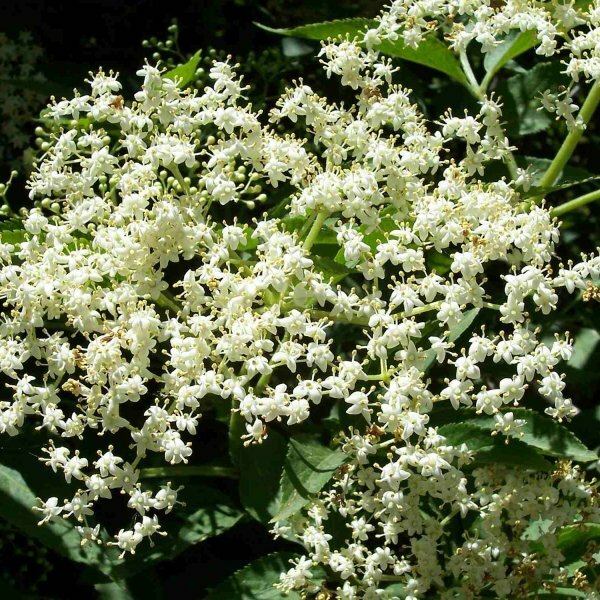 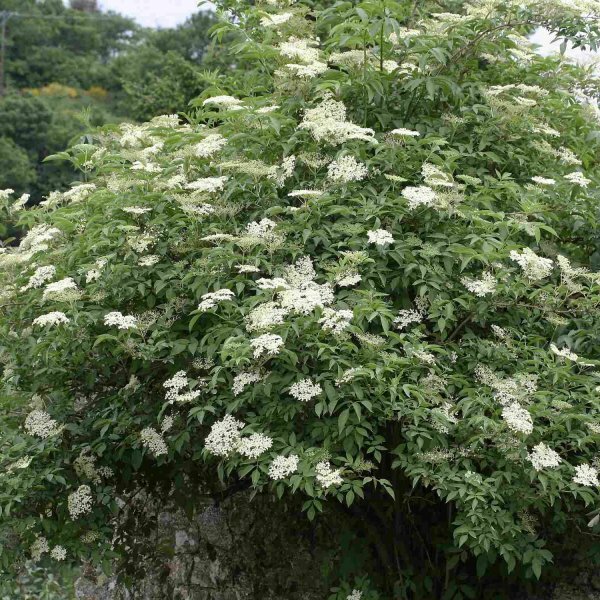 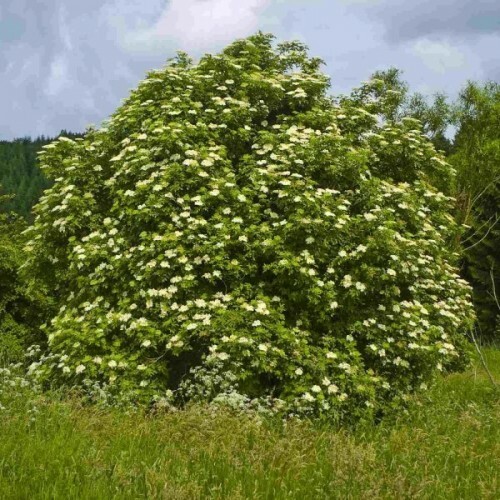 In late spring and summer, flat-topped umbels of creamy flowers appear followed in autumn by large clusters of glossy black berries.